"The Working Bishop." A Sermon Delivered in Grace Church, Brooklyn, N.Y., Wednesday, September 17, 1873, on the Occasion of the Consecration of the Rev. Benjamin Henry Paddock. Philadelphia: McCalla and Stavely, 1873. The Church's Ceaseless Work and Chiefest Glory: A Sermon Preached in Christ Church, Hartford, before the Society for the Promotion of Christian Knowledge, on the Occasion of Its Annual Meeting, June 14th, 1859. Hartford, Connecticut: Case, Lockwood and Co., 1859. Detroit: Daily Advertiser Steam Power Press, 1861. The Faithful Church and Wise: A Sermon Preached before the Thirtieth Annual Convention of the Diocese of Michigan, in St. Mark's Church, Grand Rapids, June 1st, 1864. Detroit: Printed by O.S. Gulley, 1864. Detroit: F.A. Schober and Bro., Printers, 1865. The Communion of Saints: A Sermon Preached in Trinity Church, Houghton, Mich., on the IX Sunday after Trinity, Aug. 13, 1865. Houghton, Michigan: Mining Gazette and Binding Establishment, 1865. The Noble Ambition of a Christian College: An Address Delivered in Christ Church, Hartford, June 27th, 1866 before the House of Convocation of Trinity College. Hartford, Connecticut: Press of Case, Lockwood and Co., 1866. The Springs of Missionary Power: A Sermon, Preached in Calvary Church, New York, at the Opening of the Thirty-fourth Annual Meeting of the Board of Missions, on the Evening of the Twentieth Sunday after Trinity, October 10th, 1869. New York: American Church Press, 1869. Handmaidens of the Lord: A Sermon Preached in Christ Church, Poughkeepsie, Thursday Evening, June 16, 1870, on the Occasion of the Annual Commencement of Cottage Hill Seminary, Poughkeepsie, N.Y.
Poughkeepsie: Eagle Printing House, 1870. The Wise Walk and Seasonable Speech toward Those without, the Church's Present Duty. Bishop Benjamin Henry Paddock's First Triennial Charge to the Clergy of the Diocese of Massachusetts. Eighty-sixth Annual Convention May 17, 1876. A Pastoral Letter to the People of His Charge, on Certain Points of Doctrine, Worship and Manners. Boston: A. Williams and Co., 1879. The Pastoral Relation: Its Ideal, and the Degree of Its Present Realization. Bishop Paddock's Second Triennial Charge Delivered at the Ninetieth Annual Convention of the Diocese April 28, 1880. Boston: A. Williams and Co., 1880. The Bishop's Commemorative Address on the Tenth Anniversary of His Consecration, Delivered in St. Paul's Church, Boston, Wednesday in Ember Week, September 19, 1883. Cambridge, Massachusetts: Riverside Press, 1883. Bishop Paddock's Eleventh Annual Address Delivered at the Ninety-fourth Annual Convention of the Diocese, Trinity Church, Boston May 14, 1884. Boston: Cupples, Upham, and Co., 1884. The First Century of the Protestant Episcopal Church in the Diocese of Massachusetts: Commemorative Address. Boston: Published by order of the Convention, 1885. 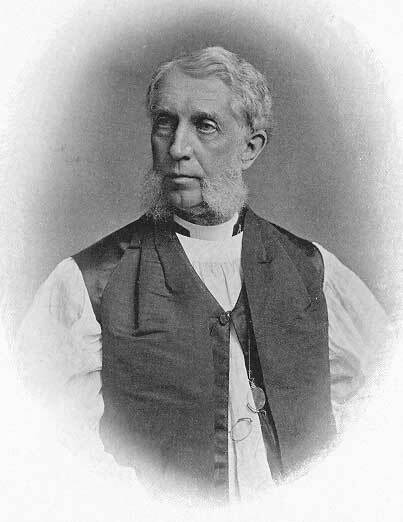 Bishop Paddock's Twelfth Annual Address Delivered at the Ninety-fifth Annual Meeting of the Convention of the Diocese, Held in the One Hundred and First Year after the Organization of the Diocese, in Trinity Church, Boston, May 6, 1885. Bishop Paddock's Thirteenth Annual Address Delivered at the Ninety-Sixth Annual Meeting of the Convention of the Diocese, Held in the One Hundred and Second Year after the Organization of the Diocese, in Trinity Church, Boston, May 26, A.D. 1886. Bishop Paddock's Fifteenth Annual Address Delivered at the Ninety-eighth Annual Meeting of the Convention of the Diocese in Trinity Church, Boston, May 2, A.D. 1888. Boston: Damrell and Upham, 1888. Sixteenth Annual Address, Delivered at the 104th Annual Meeting of the Convention of the Diocese, held in Trinity Church, Boston, May 22, A.D. 1889. Boston: Damrell and Upham, 1889. Bishop Paddock's Seventeenth Annual Address Delivered at the One Hundred and Fifth Annual Meeting of the Convention of the Diocese, held in Trinity Church, Boston, May 7, A.D., 1890. Boston: Damrell and Upham, 1890.